In Memoriam: Jingchun Sun, Ph.D. The SBMI Community has suffered a great loss this month as Assistant Professor Jingchun Sun, Ph.D. passed away on Jan. 6, 2017. Dr. Sun, who was called Sunny, died at the age of 45 in Houston, TX after her courageous battle with cancer. 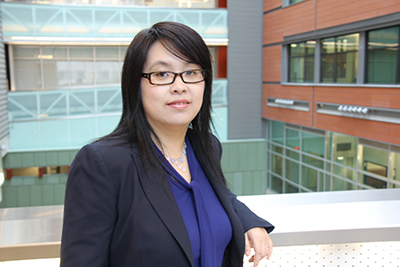 Dr. Sun joined SBMI in 2013 as an assistant professor specializing in research. Prior to arriving at SBMI, Dr. Sun spent five years in various roles at Vanderbilt University School of Medicine’s Departments of Biomedical Informatics. She is survived by her husband Jian Wang and her son Wende. A memorial page has been created in Dr. Sun’s memory and a private ceremony was held to memorialize her life and many accomplishments. Click here to read more about Dr. Sun. The spring 2017 semester started on Jan. 9, 2017 and class add/drop via MyUTH runs from Jan. 9 to Jan. 25. Please refer to the academic calendar for other important dates as well as events, including local conferences and TMC Library workshops. Students can check the semester schedule to find out what courses are being offered. Textbook information can be found on the textbook list page. Students are enrolled in a Canvas course automatically after registering on MyUTH. However, it may take up to 24 hours for a course to appear in your “Courses” list in Canvas. If courses are missing from your Canvas course list 24 hours after adding it in MyUTH, please contact de@uth.tmc.edu. Many of our Canvas courses are sharing instructional videos such as lecture recordings through Panopto; a Canvas plugin that allows students and faculty to record, store and share videos. If you are trying to view a Panopto video in a course but are prompted to request access, all you need to do is click on the “Panopto Recordings” link in the left navigation once to activate your access to all videos in that course. All SBMI students are required to view the following training videos by Jan. 25, 2017. You must be logged into Canvas in order to view these videos. Please refer to the pages below for the most up-to-date information on software and resources available to SBMI students and faculty. 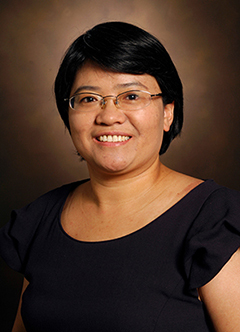 SBMI would like to congratulate Associate Professor Cui Tao, Ph.D., as President Barack Obama named her a recipient of the Presidential Early Career Award for Scientists and Engineers (PECASE) on Jan. 9. The PECASE is “the highest honor bestowed by the United States Government on science and engineering professionals in the early stages of their independent research careers.” Tao was one of 102 recipients. Tao is the sixth NLM sponsored PECASE recipient and of those awardees, Tao is only the second woman to win the award. Click here to read Dr. Tao’s news story. On Feb. 28th, SBMI will host the first annual Health Technology & Policy Speaker Series. The seminar, titled “The Evolving Role of Healthcare Technology and its Impact on Healthcare Delivery”, is sponsored by Vorys. Dr. Eric Schneider of the Commonwealth Fund will be the speaker. Schneider is among the nation's leading health services researchers and is a thought-leader in health informatics and policy. The seminar is open to the public and will take place in the IMM Auditorium (1825 Pressler Street, 77030) from 8:30 to 10 a.m. Refreshments will be served and we hope all from the SBMI Community can attend. SBMI Professor Dean Sittig, Ph.D. had two articles published recently; one in the Journal of the American Medical Informatics Association (JAMIA) and another in the Journal of the American Medical Association (JAMA). In Dec., Sittig’s JAMIA article, which was also authored with several other researchers including SBMI Adjunct Professor Hardeep Singh, M.D., was published. The article, titled “Safety huddles to proactively identity and address electronic health record safety,” is currently available online. Earlier this month, Sittig’s JAMA article, “Underperforming Big Ideas in Biomedical Research,” was also published. The article is a letter to the editor defending EHRs and genetics and is co-authored with Daniel Miller, M.D. Ph.D. 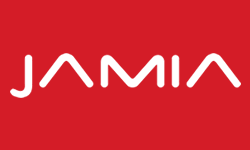 The JAMIA news continues as the journal is currently seeking applications from biomedical informatics trainees for positions on the Student Editorial Board (SEB). The JAMIA SEB offers informatics trainees opportunities to receive in-depth exposure to the peer-review process and the operation of a scientific journal. The goal of the program is to improve all of these skills through experience and mentorship. SEB members will be expected to treat manuscripts with the same strict confidentiality employed by full reviewers and Editorial Board members; and. reviews will be used in the standard JAMIA review process. Materials must be submitted by Feb. 3 to mail@amia.org. Click and scroll down to download the application and supplemental material. Contact Michael F. Chiang, M.D., JAMIA Associate Editor, at chiangm@ohsu.edu if you have any questions. Jan. 25 Improving Diagnosis in EHR Era – Hardeep Singh, M.D. SBMI Research Seminar in UCT 1414, 12 p.m.